Did you know that your eyes reveal insights regarding your overall health? In fact, your eyes provide early detection for many different diseases that can affect more than just your vision! That's why we routinely perform tests that look for signs and symptoms of many different diseases, not just eye diseases, during your regularly scheduled eye-health evaluation. We start by checking your eyesight with an eye test to ensure that you have the best possible vision you can. 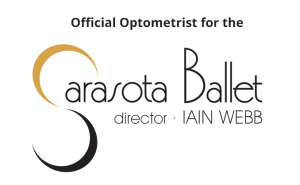 If a change in lenses is indicated, we have a fully staffed optical department that can help you with the latest styles and fashions of eyewear available. During the eye exam we also evaluate your external eye health, checking for any growths, infections, drooping of eyelids, or excessive watering. 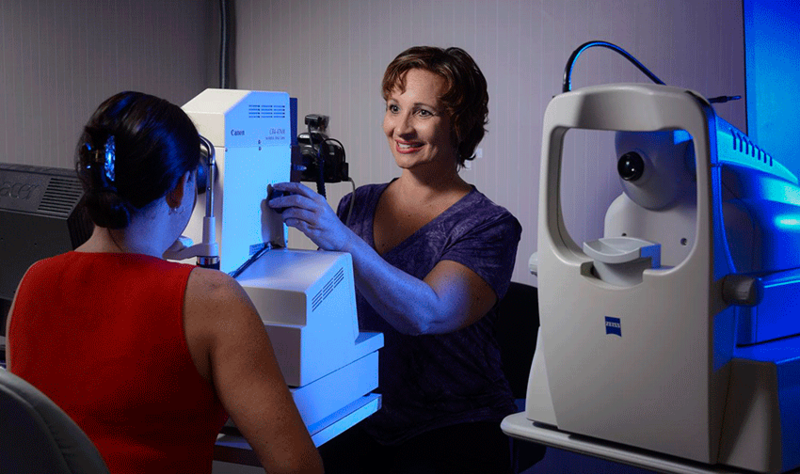 We also evaluate your eye-muscle motility to make sure that both eyes are working together and your binocular visual field to check your peripheral vision. Digital retinal photographs are taken at your examination to allow us to detect retinal disease at the earliest possible time. Ocular coherence stenography may also be necessary. You will actually see a digital view of the inside of your eye. When Dr. Sloan performs the slit-lamp examination, she is examining your cornea (the transparent front segment of the eye that covers the iris and pupil), the anterior chamber (fluid-filled space between the iris and innermost corneal surface), the conjunctiva (thin transparent mucous membrane that covers the eye and the inner surfaces of the eyelids) and the lens (which does the focusing). This part of the eye examination can reveal cataracts, dry-eye syndrome, allergies, infection, and many other conditions. Dilation of the pupils may be necessary to check for cataract retinal disorders, diabetic eye disease, macular degeneration, and more. Dr. Sloan will perform an expert refraction, assuring that you will see better with your glasses than you ever have. Many bargain eyecare providers are interested primarily in volume and getting patients in and out of the office quickly. 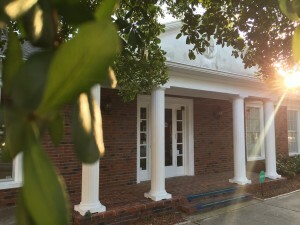 Dr. Sloan's practice cares about quality above everything else. We want to make sure your vision is the best it can be and that your eyes are healthy. That is why we offer comprehensive eye-health evaluations and a variety of treatment options that are performed in our office, along with the necessary follow-up to closely monitor your progress. 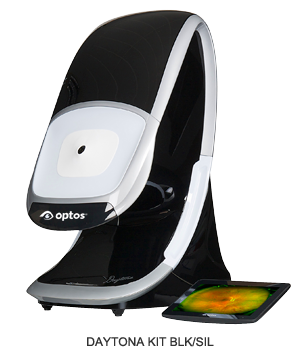 Optos’ patented ultra-widefield digital scanning laser technology acquires images that support the detection, diagnosis, analysis, documentation and management of ocular pathology and systemic disease that may first present in the periphery. These conditions may otherwise go undetected using traditional examination techniques and equipment. Simultaneous, non-contact, central pole-to-periphery views of up to 82% or 200 degrees of the retina are displayed in one single capture, compared to 45 degrees achieved with conventional methods.